A simple birational map is a K-equivalent birational map which is resolved by a single blowing-up. Examples of such maps include standard flops and twisted Mukai flops. In this paper, we give a criterion for a simple birational map to be a standard flop or a twisted Mukai flop. As an application, we classify all simple birational maps up to dimension 5. The author is very grateful to Professor Baohua Fu for his supports, encouragements and stimulating discussions over the last few years. The author wishes to thank the refrees for their very helpful suggestions which improve this article a lot. The author is very grateful to Professor Chin-Lung Wang, Michel Brion, Xiaokui Yang, Ed Segal and Will Donovan for their helpful suggestions and discussions. The author wishes to thank Professor Olivier Debarre for careful reading and suggestions and thank Professor Daniel Huybrechts for suggesting Theorem 3.8. The author want to thank Yang Cao, Yi Gu, Wenhao Ou, Xuanyu Pan, Lei Zhang for useful discussions. 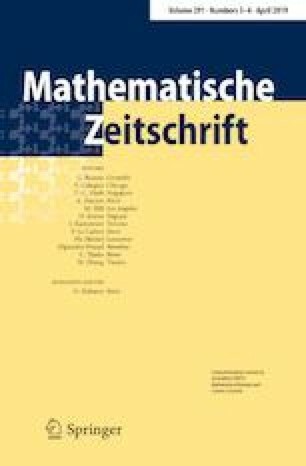 The author is very grateful to Max Planck Institute for mathematics where the article was completed.